Somewhere in Brussels, near the European Commission, you can find a house that looks just like most other houses in the city from the outside, but contains a lot of rooms, people and ideas on the inside. What house am I talking about? The AEGEE house, which the new Comité Directeur has been calling their home since the 1st of August 2015, when we moved in to start our work. “What is that work about?”, you may wonder, and probably other members wonder too. Read on to find out! My task, Projects Director, could imply I am spending the biggest amount of time with the projects of AEGEE. Semi-correct. Projects in the sense of this portfolio mean not only the projects ratified by the Agora but also teams and groups of AEGEEans who gathered by the same or similar interest and would like to change something for the better in Europe and beyond. In this sense I work with the thematic bodies of AEGEE: ratified projects (Democracy in Practice, Eastern Partnership Project, AEGEE Election Observation), unofficial projects (Europe on Track, Your Vision for Europe, Opening Inclusion, Footprint Project), interest groups (Language Interest Group, Culture IG, Health for Youth IG), and while working groups are also distributed among Comité Directeur members, I work with all working groups (Civic Education, Youth Mobility and Youth Employment). Another important part of my portfolio is internal education. 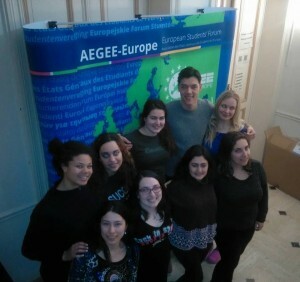 AEGEE is a space for learning for thousands of members and truth be told, working in AEGEE-Europe made me realise we should put internal education as a top priority in the work of the CD and of the organisation. I am the contact person towards the AEGEE-Academy, which is independent from AEGEE, but our partnership contract bases the trainings of AEGEE on the Academy. I also work with the Events Quality Assurance Committee on improving our events in AEGEE (and reading super long answers to super long forms [she smiles, ed.]). Besides the bodies I am responsible for, I am in regular contact with other bodies – because building the thematic work of AEGEE and our internal education strategy involves everyone. I am happy to work with our awesome Network Commission, the knowledge management of the Human Resources Committee and with the Summer University Coordination Team related to the thematic SUs. In addition I am responsible for two external projects as well, one on the Quality Assurance of Trainings and the GR-EAT project, where I discovered a new field of interest in the topic of non-formal education and the VRC (validation-recognition-certification) processes by writing the guidelines of the project. The guidelines of GR-EAT can help other youth organisations with the recognition of volunteering and the skills you learn during your time in AEGEE! Last but not least, our thematic work would only stay inside AEGEE if we were not doing our job as ambassadors. I also have a fair share of the external work as well. Being the main contact towards the Lifelong Learning Platform and being in the Management Team of IFISO (Informal Forum of International Student Organisations), the work brings both external visibility and useful practices for our internal work from other organisations. I had meetings with representatives from ODIHR, the Council of Europe, European Commission, the European Economic and Social Committee just to name a few. 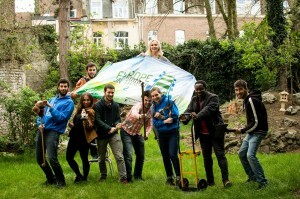 AEGEE is doing great work in shaping society and even if sometimes we see ourselves doing too many different things, this colourful palette of activities is really impressive for many officials! Besides the portfolio-related work I also checked some points in the Activity Plan we have drafted in the beginning of our term… when I had little idea about how demanding the projects portfolio is going to be [she smiles, ed.]. My Activity Plan points however show the attitude and direction I would like my work to improve AEGEE: sustainability for our thematic work, better understanding of our history and previous achievements and failures, to offer a learning space to our members and create the strategy of the organisation together with the members and the needs of the locals. Being the Projects Director means you can never finish reading all your e-mails. My life would get better if I had one of those pens you can talk to and it writes down what you are saying, do you know what I mean? I am trying my best to fulfill everyone’s expectations and wishes and I do not mind the sleepless nights or the usual 14 hour shifts in the office. Being a former project manager/coordinator myself I know the powerful drive that moves all these bodies who believe in their idea – and it is my primary role to give them the support, special contacts, necessary resources. Being Projects Director also means you get to work with a lot of different teams and their dynamics, amazing ideas, all of them in need of different kind of support. I have spent the first four months of my term merely understanding the teams and learning the best way to support them. I am inspired by all of them, the ideas and energy they bring and the relentless work they do for AEGEE. If you ask me some event highlights… well, countless. I am incredibly grateful for the opportunity to experience so many different places and meet so many different people. This is the thought that keeps me happy after long travels and happy to go to work the next day. One special highlight could be – probably because I have just arrived back from the Network Meeting in Wrocław: the birthday party of AEGEE-Wrocław where past and present met and the people who kept the antenna alive got to celebrate AEGEE-Wrocław turning 25 with 50 new members. I was touched, remembering how it is to work so hard for a small local with no money and no fixed events, only a few really dedicated people. Believing in AEGEE and working the hardest you can in order to fight for what you believe in, this is the kind of AEGEE we should all be proud of and the AEGEE I want to see more of. 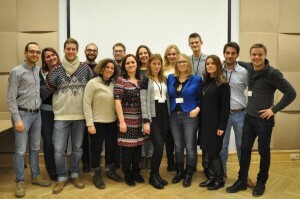 Thank you AEGEE-Wrocław for an amazing Network Meeting and many inspiring moments! Some funny anecdote of my life in the house? Just one? 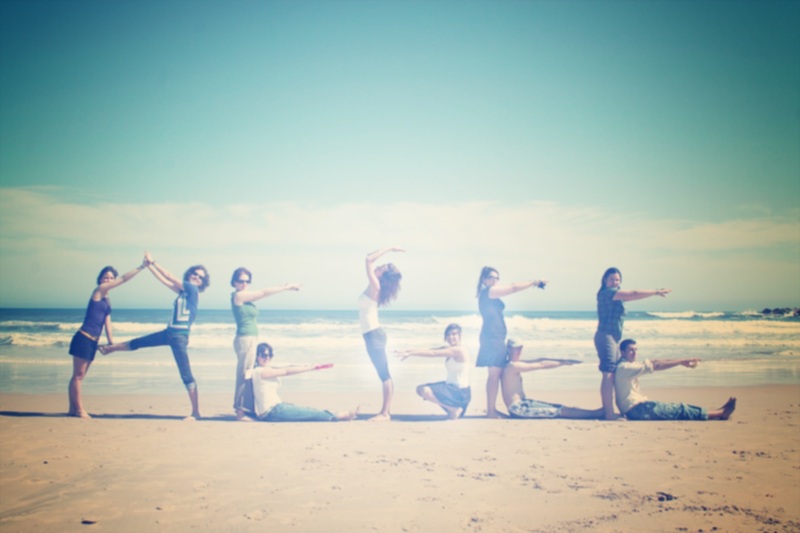 Living and working together, can you imagine how many funny moments we have in the house? Just to recall a few, I can spend whole nights drinking tea and discussing crazy visions for AEGEE with Aleksandra, burst out randomly singing a Justin Bieber song any time with Anna or get our quiet retreat and talk about literally anything and everything with Svenja. From early morning until late at night we keep each other company either in the office or in our room which is a safe haven for endless chocolate supplies and stuffed animals. We are adorable weirdos, aren’t we? You can read her interview part one here and part two here.